When a seller decides to make improvements to get their home sold for the highest price, painting, landscaping, de-cluttering and staging are the things they are most often told to do by their real estate agents. After all, most buyers don’t examine the insulation in the attic or check for drafty doors and windows when they’re looking at home. But since buildings use 40% of all fossil fuel energy in the United States, the idea that sellers can quantify energy use is becoming a more marketable factor in home value. Occasionally buyers will ask what the utility costs are when they have seen a home they would like to consider. And occasionally sellers will proactively display monthly utility costs if they happen to be pretty low. Since the cost of utilities is a recurring monthly expense just like a mortgage it make sense to think of the utility bill as part of the overall cost of home ownership. Just like buying a car, homebuyers are looking for something physically attractive. In other words, they aren’t going to buy a house that is unattractive to them just because it’s energy efficient. But surveys show that energy efficiency is becoming more and more important to buyers. 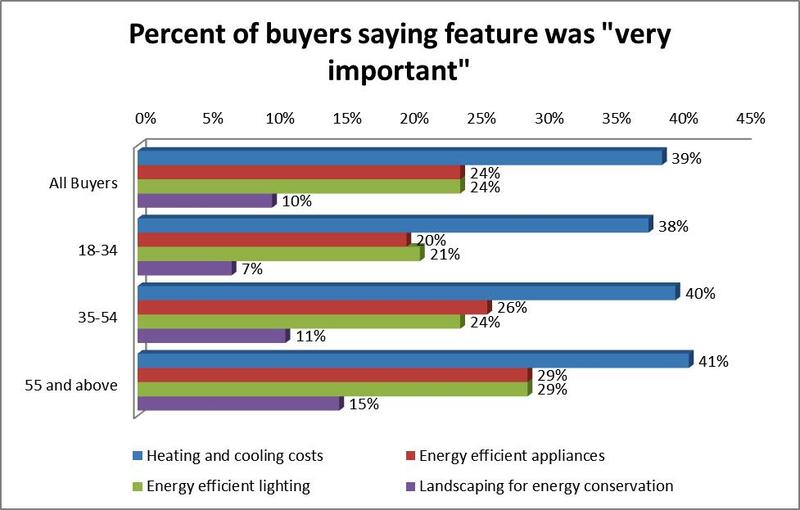 In fact 39% of all homebuyers say energy efficient is a very important factor in their home buying decision. New home building codes are mandating higher levels of energy efficient standards. However, older homes have no such requirements. So a seller who consciously improves the energy efficiency and has an agent who knows how to market these improvements can expect more interest in their home and possibly a better price if the home has the other attractive features a homebuyer is looking for. In order to assess the energy efficiency of a home the homeowner should first have an energy audit performed by a reputable auditor. Once the report is in hand the homeowner can proceed to systematically make the improvements necessary to make the home more efficient. And the improvements don’t need to be cost prohibitive or so expensive that the seller won’t recoup the investment. For instance, windows don’t necessarily need to be replaced if they are old and single pane. Simply caulking and/or new storms can dramatically improve efficiency by cutting down on drafts. On the other hand, if the home won’t be sold for a number of years, new windows may be worth the investment. If the HVAC system in a home is more than 15 years old it might be worth replacing even if it hasn’t broken down. In 2006 the SEER rating (Seasonal Energy Efficiency Rating) was mandated to be at least 13, which was a fairly dramatic increase in energy efficiency. Today HVAC systems with SEER ratings between 18 and 23 are available. The lifetime cost of operation for a 23 SEER rated HVAC system is half that of an older 8 SEER system. The cost for a new HVAC system is much less than a complete kitchen remodel for example, and if properly marketed in the sale of the home, may be a better investment. After all you can’t account for someone else’s taste in kitchen design. But knowing you have a new furnace that will save you hundreds of dollars in energy costs over the course of a year, and is good for the environment because of lower greenhouse gasses, is certainly a good selling feature. Insulation is a biggy and a very cost effective improvement. Using an insulation material that is free of formaldehyde, which is not good for the indoor air quality in a home, adds yet another marketable eco-friendly feature. This article from the Sierra Club Green Home has some great tips on insulation. 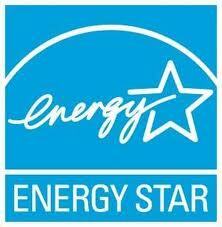 If you’re thinking of replacing older appliances to add value and appeal to your home be sure they’re Energy Star rated. A Realtor who understands the importance of marketing energy efficiency and eco-friendly features of a home can add thousands of dollars to the seller’s bottom line. To often when I preview or show homes I recognize features that I point out to clients, but that are nowhere to be found in the marketing material, either online or in print. My purpose is to serve my clients and advocate for their highest and best good, so they attain their real estate goals. When a lender figures the monthly mortgage amount that a buyer can afford whether it’s a purchase or a refinance, the amount is calculated to include principle, interest, taxes and insurance or PITI. But there’s another cost that is beginning to be taken into consideration—utilities. If you buy an older home with old single pane windows, old appliances, an old furnace, poor insulation, etc., the monthly cost to own the home can increase dramatically. If you don’t have the money to replace some of these items immediately you could spend hundreds of dollars more each month on energy costs. And if you decide to make some of the improvements or buy appliances on your credit card that just adds to your debt at pretty high interest rates. But the FHA 203(b) loan, or Energy Efficient Mortgage (EEM) Program can help buyers and refinancers to make their homes more energy efficient and save a considerable amount on their monthly utility bills. “The EEM Program recognizes that the improved energy efficiency of a house can increase its affordability by reducing operating costs. Because the home is more energy efficient, the occupants will save money on utility costs” and significantly reduce the amount of money needed each month to operate the home. So here’s how it works. When you take out an FHA 203 (b) loan you can add up to $8,000 to the loan amount even if it goes over the FHA maximum loan amount or over what you qualify for. This additional amount is at the same rate as the original loan. So if you lock in at say, 4.25%. The additional amount is rolled right into the loan at the same rate. Here are some of the things you can do to improve your home’s value and energy efficiency: New windows, insulation, passive or active solar improvements, heating and air conditioning systems, appliances. Now needless to say $8,000 won’t cover all these things. So the borrowers needs to determine what things they want to do and how much it will cost. Prior to settlement the borrower submits a home improvement energy package and the costs to the lender. Then a HERS (Home Energy Rating System) energy rater has to inspect the property to determine whether the cost savings over the life of the loan will be greater than the loan amount. The buyer, seller, lender or agent can pay for the cost for the inspection. Once the rating assessment has been done and a satisfactory rating has been determined, the lender can escrow the amount of money in the proposal. All work must be completed within 90 days. Most lenders don’t even know about this loan or if they do they don’t offer it. Don’t ask me why. So I was very happy when I found a wonderful loan officer at PMG Mortgage who made it his business to research the loan and convince his company to offer it to borrowers. Vince Coyle is ready and willing to work with borrowers on this loan product. Given the low interest rates right now this loan is an excellent way to get a lot more bang for your energy efficiency buck. Plus, after you make some of these improvements most states have some tax credits and incentives that you might be eligible for. Here are the federal tax credits that are available now. How Many Idiots Does It Take to Change a Light Bulb. Or, how many members of Congress does it take to screw up a light bulb? It occurred to me recently that I haven’t changed a single light bulb in three years or more. And in that three years lighting technology has leapt forward dramatically. So why then would some members of Congress want to torpedo legislation that many of them actually voted for to phase out the incandescent light bulbs in favor of more energy efficient lighting? Why would anyone in these tough economic times NOT want to save money on energy costs? Seems like a no brainer to me. 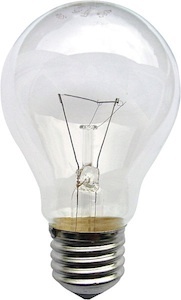 But never fear in this age of absolute idiocy in Congress—yes—a move is afoot to save the incandescent light bulb—EVEN THOUGH the major incandescent light bulb manufacturers have said that demand for these energy suckers has dropped dramatically. David Schuellerman, a manager for General Electric Lighting, said demand for standard bulbs has dropped by half over the last five years, according to the Miami Herald. In December of 2007 the Energy Independence and Security Act of 2007 passed by both the House and Senate and was signed into law by then President Bush. One of the provisions of the bill was to phase out energy hogging incandescent light bulbs and encourage the use of more energy efficient lighting like CFLs and the more expensive, but even more energy efficient LEDs. Now remember, this legislation passed by both houses of Congress. Fast forward to July, 2011. And wouldn’t you know it. A group of GOP representatives tried to repeal efficiency standards that would go into effect next year—because, according to Florida Congressman Bill Posey, “My constituents overwhelmingly don’t want the government to decide what kind of light bulb they want.’’ Translate, “my constituents don’t mind paying more for energy as long as they have the right to waste it.” (My translation, of course.) Fortunately for all of us the effort to repeal the legislation was blocked. But when you have people like Rush Limbaugh and Michelle Bachman calling the ban an assault on personal choice, as if people wouldn’t choose to save money, well now you see the reason for the title of this post. When I first switched over to CFLs only a few retailers even sold them. So I knew things had really changed when I saw more CFLs than incandescent bulbs in CVS. I’ve gotten used to one of the annoying things about CFLs. When I turn on the lights in my bathroom the four vanity bulbs over my sink do take a minute or two to completely light up. So, I turn on the light go put on my coffee and come back. One of the concerns of using CFLs is that they contain mercury and need to be disposed of using special procedures. But since I haven’t had one go out I haven’t yet had to dispose of one. LEDs are more expensive than CFLs but can last years and years longer and have no mercury issues. In fact, if you sell a house and have LEDs in any lighting fixtures you can use that as a selling feature since they last up to twenty-five years! Or you say, “bulbs don’t convey”. Congressman Bill Posey voted to repeal the repeal the energy efficiency standards in the Energy Independence and Security Act even though a lighting manufacturer in his own district, Lighting Science Group’s Chief Executive, Jim Haworth says that the company has grown from 100 to 350 employees in the last year. So here’s a question posed by the NRDC’s Bob Keefe. Does anyone want to go back to iceboxes or the refrigerators of the 1960’s. I haven’t switched over to LEDs yet only because my CFLs are still lighting my home for a fraction of the cost of an incandescent bulb. So, as my mother used to say, “if it ain’t broke, don’t fix it.” And thankfully even though Congress totally blew it on the debt ceiling, so far they haven’t been able to screw up the Energy Independence and Security Act. Here’s a great post from one of my favorite blogs, re-nest with questions and answers on lighting. Yes, really. You think the oil, coal, natural gas and HVAC companies want you to know about this. NOT. The Passive House movement is in its infancy in the US but it’s already a young adult in Europe. It’s called “passive” because heating or cooling these homes relies completely on natural resources. In other words there are no active systems involved in the 90% reduction in energy use! How is this possible I’m sure you want to know. Why didn’t I know about this might be another question. Do passive houses cost more to build? Yep. David Peabody, a Washington metro area architect and passionate promoter of sustainable architecture and passive houses is building a passive house in Bethesda, Maryland. He found that the increased cost for the home he’s building is about 8%. For a 90% reduction in monthly energy bills I’d say it’s worth it. A certified passive house uses less than 1.4 kWh per square foot in heating and cooling energy and uses less than 11kWh per square foot for all energy! By the way, existing homes can be retrofitted to meet many passive home standards. Barbara Landau and her family are building a second home in Vermont. A Passive House–in Vermont–with no furnace. When several insurance companies asked what kind of heating system the house would have and were told NONE, they declined to insure the house, thinking the pipes would freeze. They won’t. This excellent NY Times article chronicles their story. The passive house movement was started when conversations between two German professors at the Institute of Housing and the Environment led to the first passive houses being built in Germany in 1990. To date it is estimated that 15 to 20 thousand passive buildings have been built worldwide, mostly in Germany and Scandinavian countries. The US numbers are far, far fewer. Remember, the movement here is still a nursing baby, but one that is being nurtured by it’s German parent. This map represents the Passive projects currently underway in the United States today. The squares have been certified, the circles pre-certified and the triangles are in the planning stages. Green represents single family homes, red education, blue multi-family and gold are retrofits. Buildings use more than 40 percent of all the energy consumed in the United States. 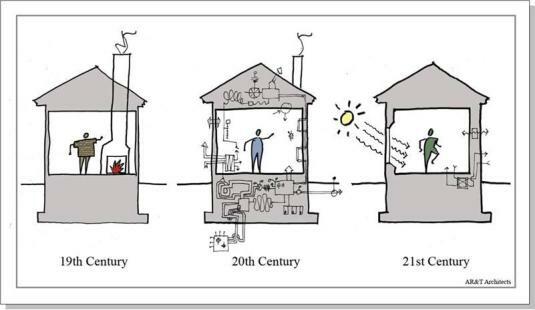 If builders were to embrace the passive building concept, both the cost of building and the use of nonrenewable energy sources would decline. You’ve seen those buttons that people wear, right? “Ask Me About” something or other. I think I want an “Ask Me About EcoBrokers” button. I’ve been an EcoBroker for three years and have had the National Association of Realtors Green Designation for two years. I proudly announce this on my website, on my email signature, on Facebook and Twitter. But buyers and sellers never ask me about it, or how having these designations make me different from other real estate agents. Yet they do make me different. When I’m showing houses buyers don’t tend to ask me about the things that will affect their bottom line once they’re in a home—like “how energy efficient is this furnace or do you think I should replace the windows?” When I talk about how the home’s orientation will affect their energy use for better or worse that information doesn’t seem to enter the equation. Likewise, when I discuss walkability and potential resale value there is a clear disconnect. Yesterday at an open house I had on my name badge and a button that said EcoBroker (not “ask me about” though). I had booklets on energy efficiency and my cards which say I’m an EcoBroker. Not one person asked, “What’s an EcoBroker. Not one person picked up the energy efficiency booklet or asked about them. Maybe I’m just nosy, but I would have asked. Now I’m not expecting buyer and sellers to become tree huggers necessarily. I mean, they don’t have to build straw bale homes and put solar panels up to bolster their “green” creds. And I’m perfectly okay with my role as educator—to reach out to my clients and help them to be more informed about the personal environmental consequences of their home buying and selling decisions. I would like to see the conversation around home buying and selling include questions like “Can you find out if the seller has made any energy efficient upgrades in the past few years or, “Will you advertise the fact that I’ve put in dual flush WaterSense rated toilets and EnergyStar rated appliances?” The answer from me would be YES to both of those questions. There is no doubt that the future of home building and home renovations are moving toward more sustainable practices, especially in energy and water use. Buildings make up 40% of all the energy used in the US. Buyers and Sellers should understand how these new practices will impact their buying and selling decisions. They should also be aware of greenwashing, the practice of making questionable green claims in order to sell a product. As an EcoBroker and NAR Green Designee, I can help to sort through the new world of thinking sustainably as a home buyer or seller. So the next time you see me, ask, “What is an EcoBroker?” Here’s a video of me describing why I became an EcoBroker. A smaller house is a greener house, plain and simple–even if it doesn’t have EnergyStar this and EnergyStar that–even if it doesn’t have foam insulation, solar panels or a tankless hot water heater. It’s greener because it’s carbon footprint is smaller. 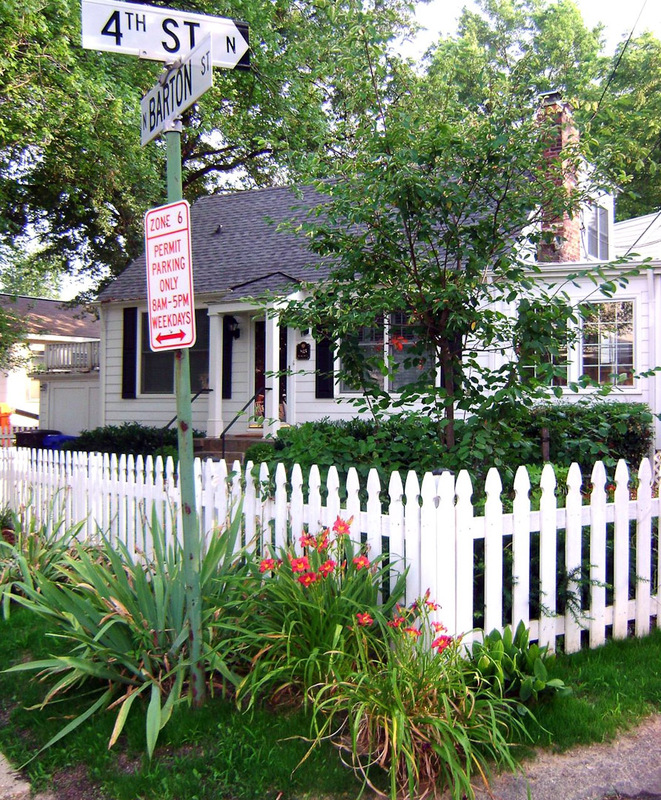 A small house in a walkable neighborhood is even greener. I have an adorable 1931 completely remodeled home listed for sale in the Clarendon neighborhood of Arlington, VA. Clarendon is one of the most “sought after” neighborhoods in the city because of it’s proximity to shopping, metro, restaurants, night life, etc. Because of it’s desirability, it’s a fairly pricy neighborhood. The house has just under 1200 square feet–so not large. But it has been opened up so that there’s a wonderful flow. It has large windows and amazing light. The landscaped yard is lovely and low maintenance. And the fact that this small house was not knocked down to build a larger house makes it greener still. Part of the neighborhood has a dense concentration of high rise condominiums. A condo with comparable square footage could run nearly $600,000 with a condo fee of over $400 per month. Buildings use 40% of all of the energy used with high rise buildings using the majority of that. Most high rise condo buildings are not very energy efficient. So their carbon footprint makes a giant sucking sound. Why I wonder, would someone be okay living in a high rise condo paying nearly $600,000 for 1100-1200 square feet and a $400 a month condo fee but feel that a 1200 square foot house with no condo fee is too small. Now I have nothing against condos and I understand that condo living fits a certain lifestyle. But I do wonder if there is also the perception that a house has to be bigger than a condo or apartment? If so, that perception is changing according to all recent studies. The small home movement is growing. When I was a child, which was admittedly a long time ago, the first home my parents bought had three bedrooms, one bath, a living room, dining room, kitchen and a big backyard with an apple and walnut tree. There were four kids and I don’t ever remember thinking our house was too small. I do remember yelling at my siblings to hurry up in the bathroom and I remember the nightly bath schedule. By the time I was 13 we had moved to a house that had 4 bedrooms, one and a half baths and a den. We thought we were living in the lap of luxury! For many decades most families lived in homes about the size of the homes I grew up in. Now there is a clearly defined trend towards smaller homes. The changing demographics of the average home buyer shows that single women made up 21 percent of the homebuyers in 2009. These women are professional with busy schedules and no time for the maintenance of a larger home. Gen Y housing preferences are the subject of at least two panels at this week’s convention. A key finding: They want to walk everywhere. Surveys show that 13% carpool to work, while 7% walk, said Melina Duggal, a principal with Orlando-based real estate adviser RCLCO. A whopping 88% want to be in an urban setting, but since cities themselves can be so expensive, places with shopping, dining and transit such as Bethesda and Arlington in the Washington suburbs will do just fine. So my little beauty of a listing is right in line with the national trend. Small is beautiful! Have a look.